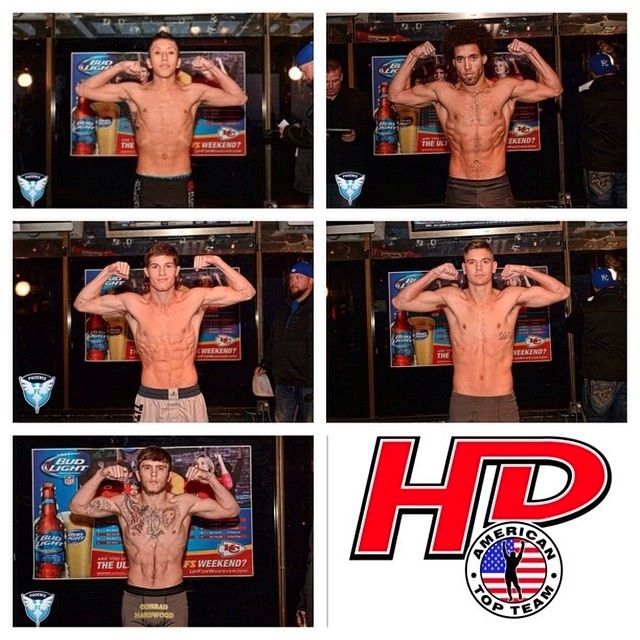 American Top Team HD fighters showed OUT Saturday night at Phoenix FC 1: The Rising, the first ever MMA show in Johnson County. Jeff Molina kicked off the night, winning his exhibition kickboxing match via unanimous decision over Jacob Fox! These young fighters were awarded with “Fight of the Night” for their impressive three round fight in which there was never a dull moment. CJ Randall lost by submission (ankle lock) but was otherwise dominant, and we are still very proud to have him on our squad. Jace Roy won by rear naked choke in the first round in his debut over Ben Price! ATTHD Wrestling Coach Sharky Slyter won via TKO in the third around against Kory Johnson, earning him the inaugural amateur belt for Phoenix at bantamweight (135 lbs)! 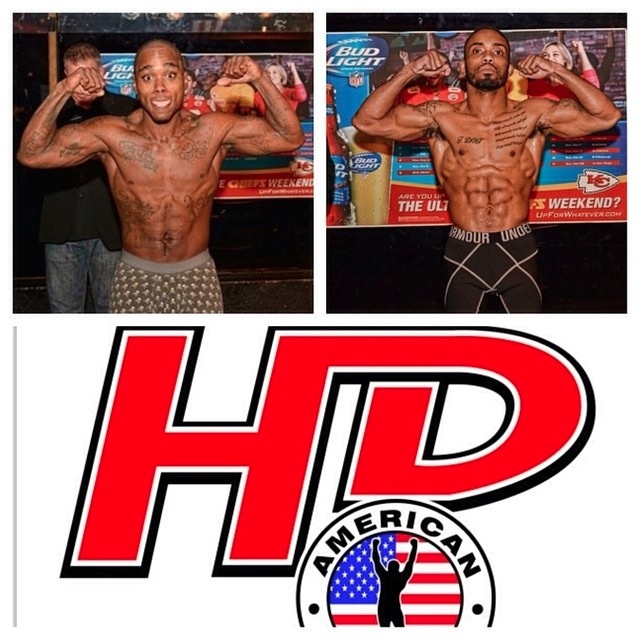 ATTHD instructor Deron Carlis won convincingly by first round submission over Daurice Starr! ATTHD instructor Andrew Tyson won the main event by first round TKO over Dustin Blake from Wichita. Tyson was awarded with “Performance of the Night” for defeating this tough opponent. Check out the recap from Phoenix FC HERE. Check out all the fight VIDEOS HERE. Congratulations to all for a successful night! Special thanks to those of you who showed up to support our fighters. That means more to them than you may realize. Photos below courtesy of the amazing Jerry Chavez, the best in the biz. Inaugural Phoenix Amateur Bantamweight Champ!